Nose: Lively, fruity, floral, almond and vanilla. Palate: Mellow, fresh and complex notes of Cognac, nuts, fruits, burnt orange and citrus oil, and peach. Layered and a highly complex spirit. 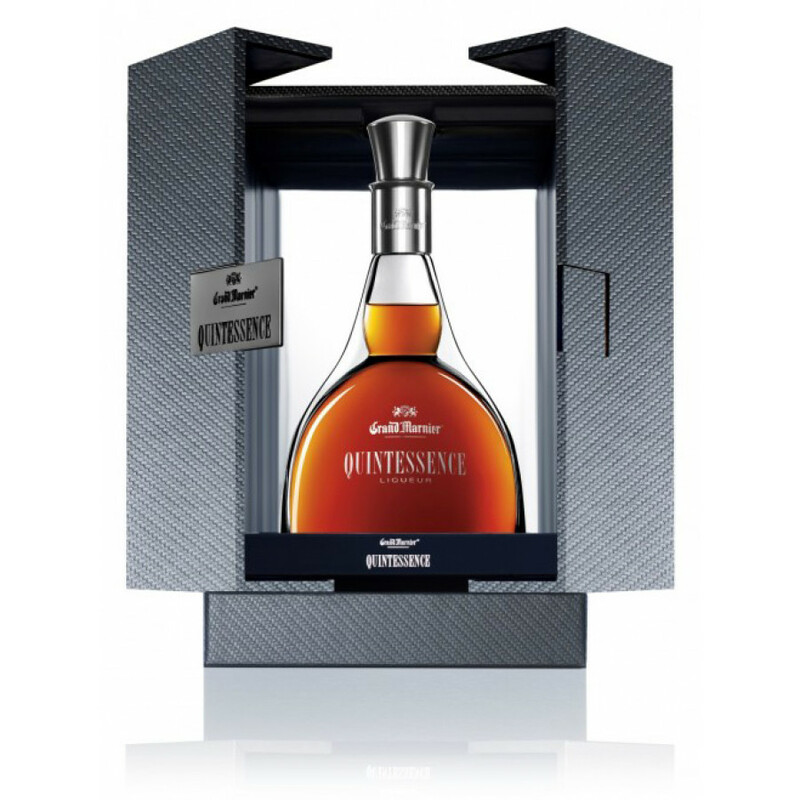 Your first sip from the Grand Marnier Quintessence is everything you could want from a Cognac; it is fresh and delicately balanced with plenty of power and character. As a premium orange liqueur, its value comes from its marriage between distilled bitter orange liqueur and a number of Grande Champagne Vintage Cognacs and reserves from the family’s Paradise cellar - around 20 to be precise. A unique tapestry of very old flavors and aromas, the vintages within are aged between 25 and 135 years on average. Fresh orange flavors perfectly counterbalance the luxurious old Cognac character. It contains eaux-de-vie from the years of 1875, 1906 and 1955 descending primarily from the highly coveted Premier Cru; renowned for creating light and floral eaux-de-vie with a lengthy finish and unmistakable rancio. 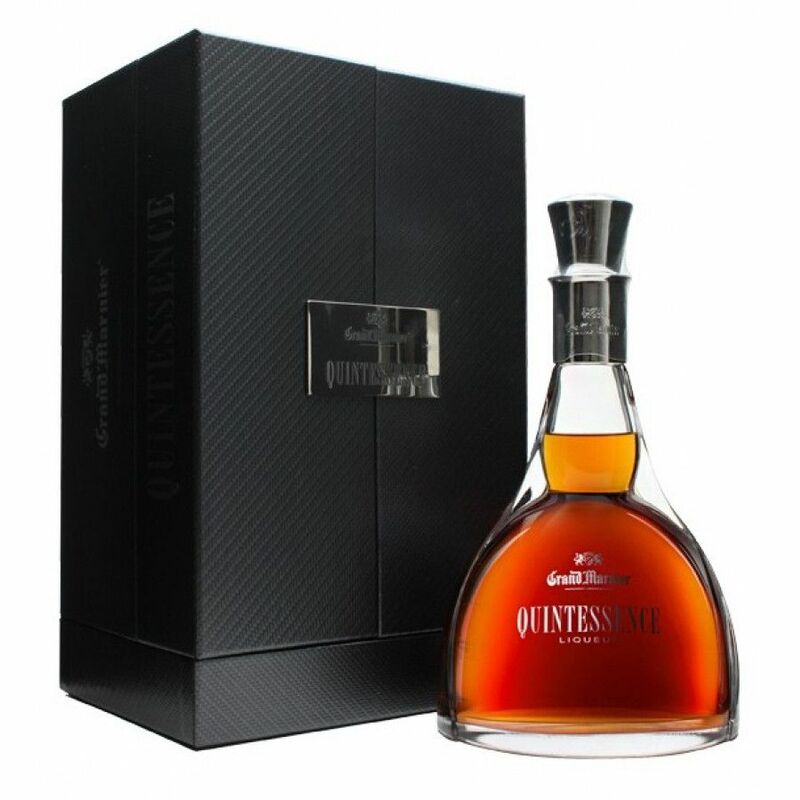 Its flavor is enough to transport you through the various histories of the Cognac region. This precious nectar is 82% Cognac and 18% orange liqueur. Extracted from orange peel, the double parfum method ensures a citrus oil flavor that will provide you with one of the richest tasting experiences of your life. The blending of the vintages with this fresh aroma is the key to creating the ultimate decanter of Quintessence Cognac, and master distiller Patrick Raguenaud does not disappoint. Using some of the most exceptional reserves of eaux-de-vie in the world, Grand Marnier present us with a premium Cognac twist. It is a very limited edition with only a certain number of bottles produced, so once it’s gone, it’s gone. Grand Marnier have amassed six generations of savoir faire to create their unique line of products. They source the finest of Ugni Blanc grapes from Cognac, nurturing close relationships with local farmers. They then distill the grape wine in copper pot stills, giving the Cognac its complexity. Each batch is double distilled for 24 hours to bring out the aromatic quality, before they are aged in Troncais and Limousin oak casks. The magic takes place when the Master Blender composes a symphony of flavors and aromas between each of the eaux-de-vie; blending to create the final product. Grand Marnier solely use the Citrus Bigaradia variety of orange for their bottles; drying them in the sun to bring out the essential oils and encourage flavor retention in the skin. Macerated in alcohol, the spirit is double distilled to regulate the bitter orange notes. Pour into a snifter glass and serve at room temperature. The world of mixology has certainly inspired Grand Marnier’s forward thinking innovation, and it can be served in a series of premium cocktails. The unique presentation box opens outwards to reveal the pearl within; the interesting Quintessence decanter with a silver stopper. The neck is particularly eye-catching. Marnier Lapostolle, Cognac Marnier – a product that’s part of the perhaps more well-known trade name of Grand Marnier, has a history dating back to 1827. Now a worldwide name, Grand Marnier and their related products are still run by descendants of the original founders – the Marnier Lapostolle family. Most famous for their cognac and orange liqueur – Grand Marnier – the house also boasts a range of cognacs under the brand name of Cognac Marnier. Colour Medium amber tinged with copper. Aroma Candied orange scents subtly fused with hints of spice. Flavor Notes of dried fruit, gingerbread and nutmeg. Lovely lingering finish with nuances of macerated orange. Tasting review by Gautier: A nose of spicy, mellow fragrances marked by vanilla and delicate floral touches. The roundness and mellowness on the palate perfectly match the powerfulness of the cognac. A very sweet and honey dominated nose and palate, but still a warming slight punch of cognac.